Vonnie Folsom started sewing pillowcases after discovering the beautiful, one-of-a-kind fabric that has made the Ultimate Minky Pillowcase what it is today. She understood right away that she had sewn no ordinary pillowcase, and the benefits of the fabric are far greater than being super soft. Her special "minky" fabric means better sleep-- the microfiber keeps away moisture, heat, and is extremely durable. Vonnie and her customers swear by these special pillowcases, and once you convert to an Ultimate Minky Pillowcase, you'll never go back to cotton. My name is Vonnie Folsom, a/k/a/ “The Pillowcase Lady.” I make pillowcases that are the ultimate in softness and comfort. Minky fabric is the key – Minky is softer than mink and cooler than cotton. 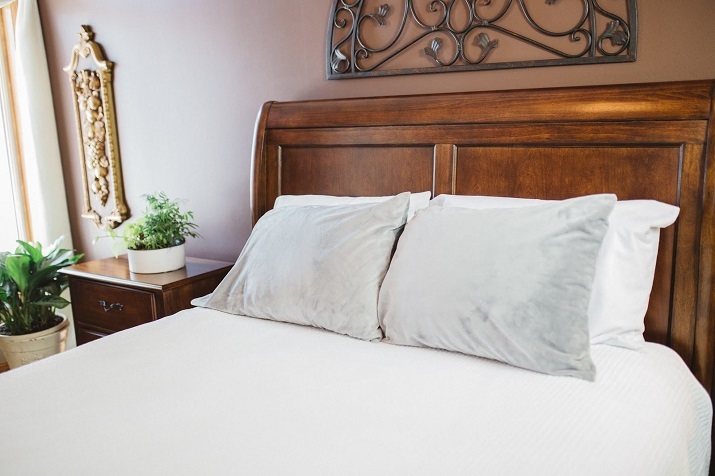 Minky is an unbelievably soft split microfiber that wicks heat and moisture away from your body which helps you sleep cool, dry and comfortable. It is extremely durable, doesn’t pill, fade or tear, is stain resistant, launders well, is static-free, fuss-free and more. 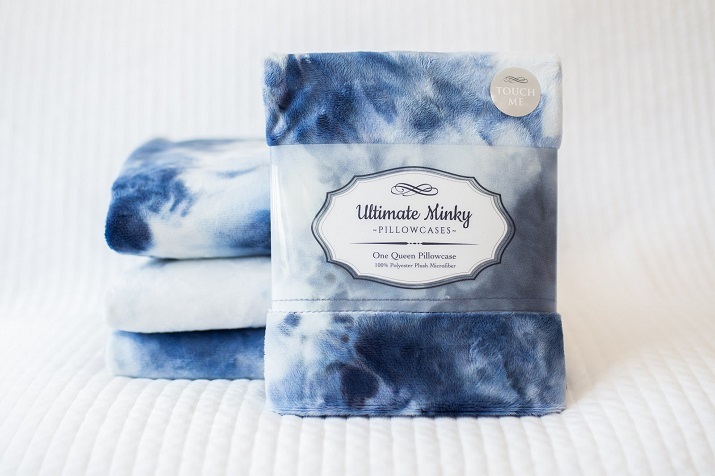 Even the best bed pillows are upgraded when you add an Ultimate Minky Pillowcase. Customers want to touch my pillowcases as soon as they see them because they are so pretty, but once they touch them, they don’t want to stop. I enjoy watching their facial expressions and hearing the oohs and aahs at their first touch of Minky. Customers contact me to share their excitement about sleeping better, not waking up to flip their pillow, and not having messy hair in the morning. Customers also love that it is a great gift, no matter the age or gender. 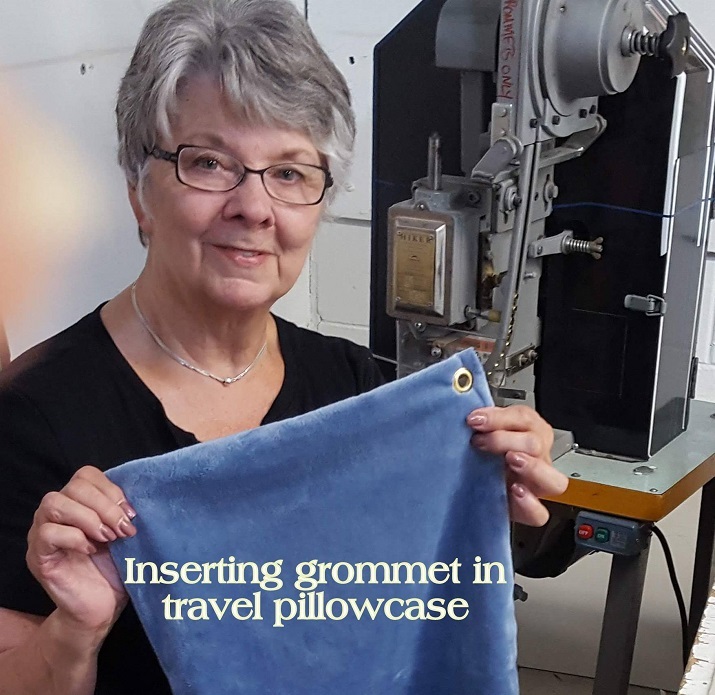 A simple thing…we have added a grommet to our little Travel/Go Everywhere pillow and it is making customers happy to not risk losing their travel pillow. The grommet makes it easy to hang up or hook to a backpack or bag when you travel. It is a unique and effective solution to the “where’s my pillow” problem. You won’t understand this problem until you have your own Minky pillowcase. Interacting with customers, introducing them to the benefits of Minky, and sharing how Minky provides comfort to those with serious skin sensitivities, i.e. chemo-induced baldness, shingles, burns, as well as to children and adults in hospice. And visiting with past customers is inspiring because they tell me what they love about sleeping on Minky so I learn more about my product from them. I continue to be amazed at the magic of Minky. After retirement I needed to supplement our income and was looking for a product I could make that would appeal to a wide customer base. 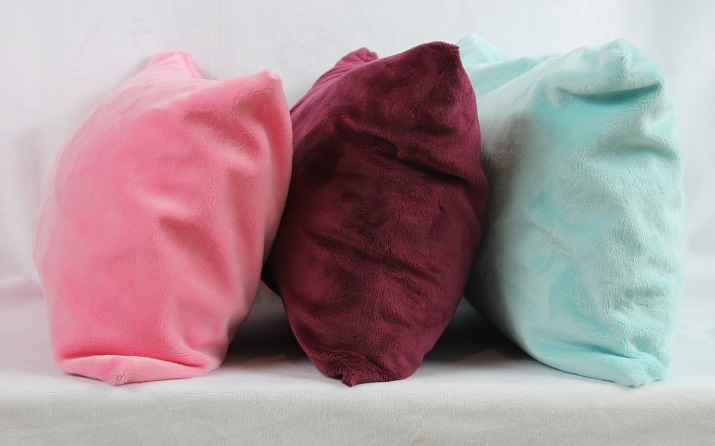 I have always loved soft fabrics and enjoy sewing so when I was introduced to Minky fabric in 2012, I made a pillowcase and was amazed at the many benefits the fabric offers. It did not take long for my hobby to grow into a business. None. I knew how to make my product but not how to sell it. I slogged through several shows, learning the hard way. I am so very grateful to vendors who recognized my need and mentored me on some basics, recommended shows, etc. and now it is a joy for me to help other vendors. If I had known my hobby would turn into a viable business, I would have planned better, taken advantage of the many free mentoring and training opportunities available, and worked it as a business rather than a hobby. I am blessed that I have a product that sells well and that most everyone in the world can use. Check out more of Vonnie's products online, and be sure to stop by her booth at the Minneapolis Gift & Art Expo, November 2-4, 2018 at the Minneapolis Convention Center! Ellen Diederich is a painter who creates work with love and care in every brush stroke. Her studio, Givinity Press, produces stunning reproductions of her original paintings as cards, prints, and even a children's book. Although she paints a wide range of subject matter, the common elements of light, color, detail, and movement connect them together to showcase Ellen's unique style and perspective. I am a Neo-Impressionistic painter who works in watercolor and acrylic. I love color and am told I have a gifted palette, but mostly I put love into my paintings of flowers, architecture, domestic animals, and more recently, landscape. This spring I painted the lakes, boating, and landscape painting as well as my regular subjects. My painting “Over the Hills We Go” is available as a Christmas card and a giclee reproduction. Several Christmas card styles are available. My blank note cards are beautifully packaged and always make a nice gift. “Samson’s Gift,” a beautiful gold medal award winning children’s book I wrote and illustrated, shares the joy of giving featuring “Samson” an orphaned lamb, is an ideal Christmas story for the whole family to read together. In grade school I remember drawing houses with curtains in the windows, flowers, and detailed bushes in front. To draw the bushes, I kept splitting the branches over and over and putting on colorful leaves. Trees, leaves, branches, flowers, and even stems still fascinate me. I didn’t learn how to draw animals until I took life drawing classes and learned to understand underlying bone structures. It surprised me that so many people love my farm animal pieces. I just wanted to paint them, and didn’t really think they would sell. I guess sharing your love is key. Yes, my high school art teachers were amazing and gave me a terrific start. Being horribly shy, painting gave me a tinge of confidence that grew. My addiction to creating more makes me work on my marketing so I can keep on making new pieces. My customers tell me they love the color, the whimsy, and the beauty. It may really be the connections between these things as that is what I work on most. That is a tough one. My favorite paintings continue to get a pat on the back every time I sell another. When people remember them and ask for them I know I really have something. Overall, selling the original art is the most fulfilling to me as you meet someone who truly values the work you do and wants it in its most authentic form. When I paint, I want to feel free and not fussy so I use a 1” flat brush which acts almost like a calligraphy pen. On top of that, I make it an effort to not let you be aware of the brush and turn it like I am actually painting on the subject from my angle of view. This is what gave me my personal style. My brushwork is solid in my watercolors even though it blends together, but in Acrylic it really stands out. I love architecture and flowers. We had vegetables and animals on the farm and didn’t have time or money for flowers. The people in Fargo appreciate that I paint our beautiful city. Buildings mean so much to people, and many personal, historic stories get shared in front of building paintings. Playing with the light on the strong geometric shapes is very exciting. I hope to explore painting even more. With development, I hope my sales of products such as cards, and reproductions, licensing, and books will keep my staff busy so I can devote myself to a continued exploration though I do like interacting with clients. Teaching painting is also a love of mine and keeps me focused on the basics. Givinity Press is what I use for publishing with its catch phrase- “Giving Divine Images to You”. I came up with it because people have trouble spelling my name and I didn’t know the internet would eventually ask….”did you mean Ellen Jean Diederich?” I wanted to be a giving company, and the best parts of my paintings just show up and I can’t take credit for that. I also have EllenJean Diederich.com as some customers have told me they were intimidated to contact this big corporation (which I am not). Failure is part of creativity. If I’m too careful, I get scared and creativity goes down the drain. One great thing about being a painter is that when you fail, you can stick the piece in a closet and no one has to see it. You can learn from the good parts and try it again. Rejection is part of the art business. It is painful, but at least people are noticing you. There will be tons of it at the beginning. Keep going and listen and look at what viewers make an effort to tell you. Repeated messages should be analyzed. But most of all listen to your inklings and trust them….give yourself permission to do the things you want and keep trying until you get there. Check out more of Ellen's work online, and be sure to stop by her booth at the Minneapolis Gift & Art Expo, November 2-4, 2018 at the Minneapolis Convention Center! Tony Small is a fine art photographer who captures amazing images of the world around him. He specializes in landscape photography and his artistic touches create dramatic, vivid images in his signature style. With years of study and practice in his artform, he has the ability to change the way we see the world around us with his photographs; a world that is more bright, beautiful, and filled with wonder. Tony Small is a professional fine art photographer specializing in unique, moving landscapes. Tony’s fine art prints combine dramatic photography, vivid colors and artistic touches to create new, captivating visions of nature and our unbelievable world. Using high resolution digital photography, he’s able to capture the subtle details of some of the most unbelievable landscapes and transfer them to large prints with stunning clarity and color. His work is presented on fine art paper, canvas, metal or acrylic. His award-winning images are printed in numbered collector editions of 50-250 but can be purchased in smaller non-numbered prints. I gained an interest in photography early in life when my uncle gave me an old film camera he had used for years. With the light meter not working I experimented until I became very proficient at setting the camera to perfectly utilize the available light. I have studied the art of photography for years and shot with several iconic landscape photographers across the country. I work to incorporate my love for photography, people and nature in all my work. Driven by adventure I am always looking for the next opportunity to find the beauty this world has to offer and share it with others to enjoy. Along with my photography I still like to help others learn the art of photography. For years I was a teacher and it is something that is hard to stop doing. I currently hosts landscape photo workshops for all ages. I also love photographing family events and special moments in life including weddings, portraits and family pictures. Each image has a good story! Please feel free to ask Tony to tell you more about each of the images as he loves to share his experiences with others. As a teacher for over 15 years he enjoys teaching photography workshops on the fundamentals of photography, on site shooting instruction and post processing. Tony hosts workshops in Minneapolis and travel workshops in Minnesota, across the U.S. and other countries. The workshops are to some of the most beautiful places across the world. Review www.tonysmalloriginals.com for upcoming workshop information. Tony also has a photography business for photographing special events, weddings, family portraits, Senior pictures, personal head shots and real estate. He can be contacted at 317-709-0298. I will be featuring images that are great to put in your home that will build the spirit of the Holidays. This is a very popular image that will be available in many sizes but looks great over your fireplace on in a prominent location for all to see. I love selling my images to those who like them and want to make them a part of their homes and offices. I have been known for having prices that are very affordable but that is for good reason. I want people to enjoy my images and make them a part of their home and office. They were taken for people to enjoy so I want to ensure everyone has a way to take one home to instill the feeling they get when they view the image. My work revolves around light and unique settings. A number of my images require not only getting up early but hiking long distances before sunrise to be in the location with the most potential for a great shot. My best images are captured early morning, later in the evening or just after some interesting weather when the light is most interesting. Unbelievable light is what gets me up early to go out by myself and capture what so many miss each day. When I am out there and the light is unbelievable I think wow I wish everyone could see this and as a result of my images they can. Have you had any major failures? Failures maybe not but challenges with being hard on equipment can be a problem. Too many to mention but putting a camera in the ocean really hurts when you are three thousand miles from home and your backup camera is your phone. As careful as you try to be accidents do happen and photo equipment just really is not made for hiking and the elements. Check out more of Tony's work online, and be sure to stop by his booth at the Minneapolis Gift & Art Expo, November 2-4, 2018 at the Minneapolis Convention Center! 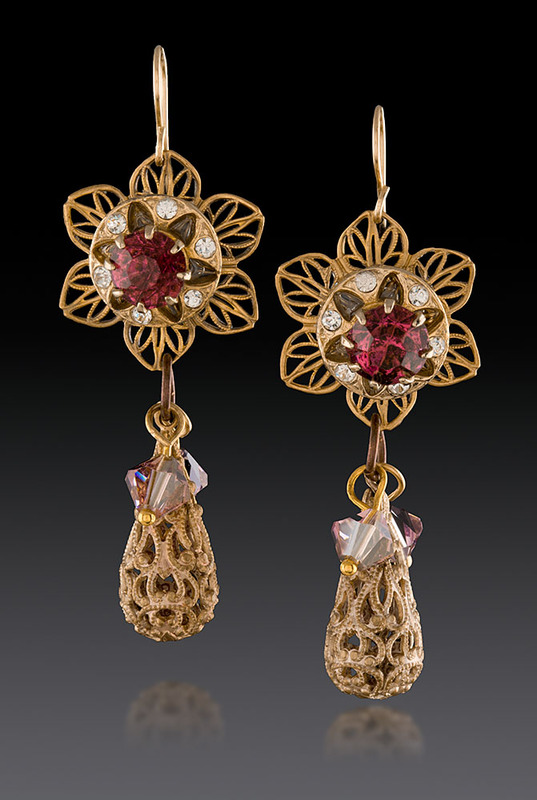 DeDesigns Jewelry is the work of Linda Bonine and her daughter, Leah; the duo designs handmade jewelry using repurposed vintage pieces. 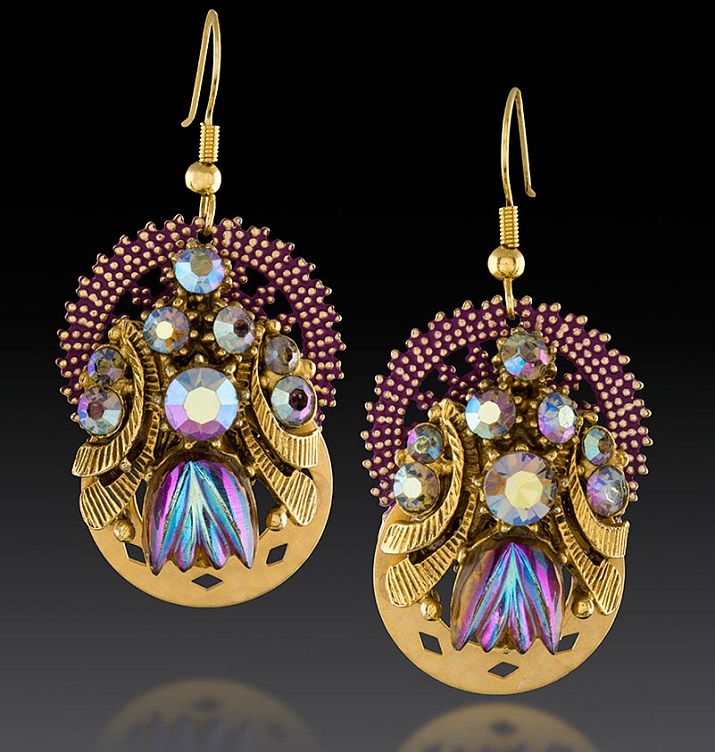 They love transforming special keepsake jewelry into unique, one-of-a-kind pieces that take on a new life. 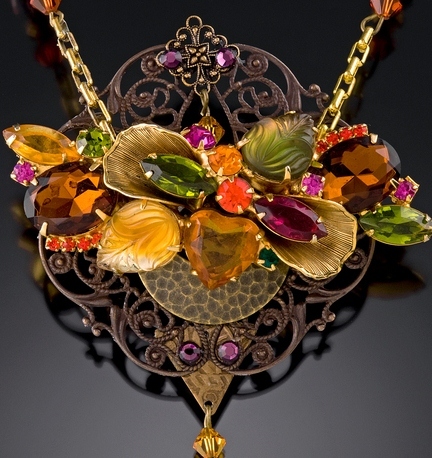 My name is Linda Bonine and along with my daughter, Leah, design and make one of a kind jewelry. Our jewelry is one of a kind. 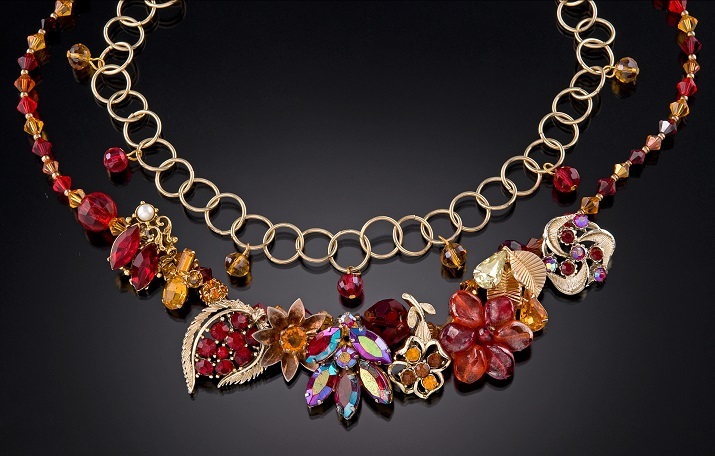 We create beautiful pieces using vintage jewelry that we repurpose. The designs are fresh and unique and unlike anything you will see elsewhere. We constantly hear how unique the pieces are and how our marketing is so great. I was born passionate for the arts. My mother was a fine artist and cake decorator and my grandparents were very talented. Every year when I was very little my mom decorated our house painting scenes on our large windows and decorating for the holidays. We always won awards because of her talents. I also was an art major in college and hold a BFA from MCAD. Art has always rocked my world. No. I work full time in the printing industry and Leah is earning her masters in Social Work. I graduated from MCAD with a design degree and had worked in Graphic Arts. I had a car accident and was unable to work because of my injuries. I do not like sitting still and had taken 1 class in college on jewelry crafting. With some coaching from my brother, I decided to design jewelry and do some art and craft shows. That was 38 years ago. I have had several. The one that stands out the most for me is that we were scouted to participate in Hollywood for the Emmy Awards. It was such a cool compliment and really made me feel like we were going to make it! Another time was when I sold 5 brooches to Mrs. America to give as gifts to future contestants. DeDesigns came from my childhood nickname of DeDe. My sister and I are Irish Twins (11 months apart in birth). She couldn't say Linda at 11 months old. It came out of her mouth as DeDe. The name has been endearing and full of love for me since then. My granddaughter now calls me DeDe after all these years. I love it as I love designing jewelry! What are some tips or suggestions you'd like to offer to fellow makers? Be true to yourself. Not everyone will love every design you make. What matters is that you love them and they become a part of you and that will show in your craft.